The Evo9 ecu is the newest and most powerful ecu ever produced for a 4G63, it is also the last. I started this mainly so I have something to learn SH-2 code on, and while there are a lot of Evo8 ecu swaps, I’ve never heard of a Evo9 ecu swapped into another car. 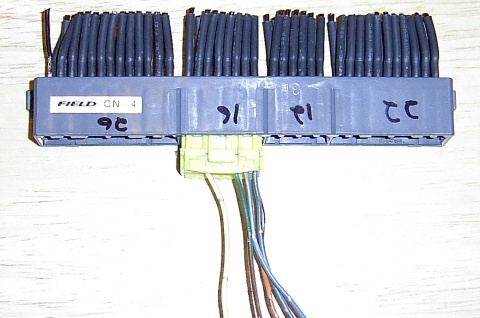 The Evo9 switched to a three plug setup, so you will need to make a conversion harness. Credit goes to 0xDEAD and MrFred for Part Numbers and PinOuts. The Evo9 use JAE MX-7 Series plugs. 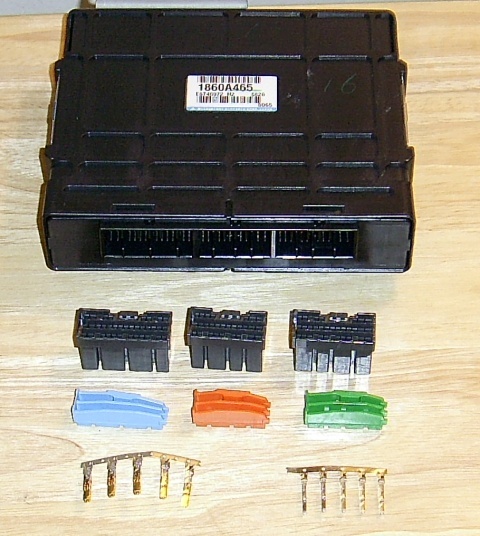 1 x 2G DSM or Evo4+ Female ecu side connector. Get from broken ecu or other adapter harness. Any Mitsubishi 4-plug ecu 1995-2008 should work. The Evo9′s MIVEC and CAM sensor. 2Gs use Hi/Low for fan control, Evos use PWM for variable speed. Finished harness. Copied my 2G MAF tables and my 1150 cc/min Injector tables over and flashed ecu. Turn key, start her up and she runs and idles at 14.7 on first try! Drove around for about 15 minutes, runs perfect. And I got no CELs. I think if I used the ecu longer I would have gotten a MIVEC CEL. 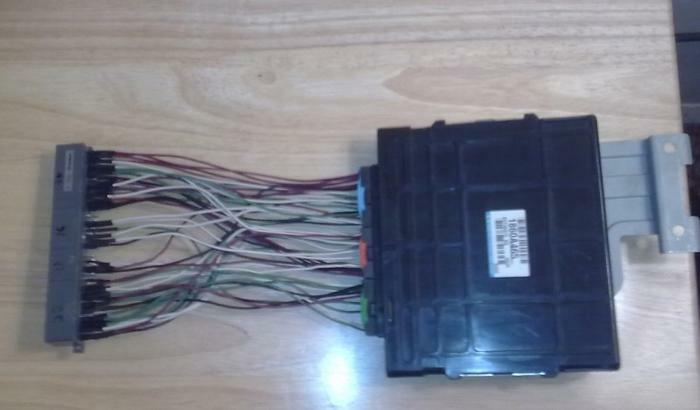 Harness and Ecu are already sold.